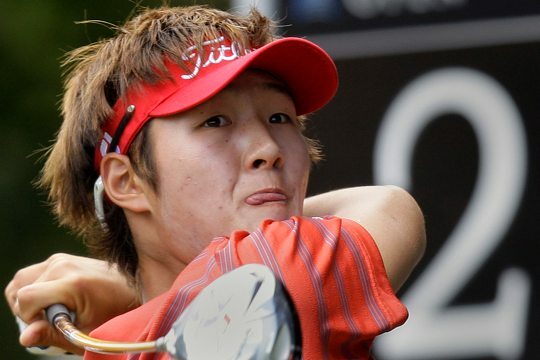 There are many who could present a solid argument to support the theory Danny Lee was always destined to share tee space with the game’s movers and shakers on the PGA Tour in the United States. When he turned professional in early 2009 there was already a sizeable queue of observers so taken by his presence on the course they concluded great things awaited the Korean-born, New Zealand-raised teenager. After all, he was the reigning US Amateur champion and had just become the youngest player in history to win a European Tour title at the Johnnie Walker Classic in Perth. As such, it was widely assumed the PGA Tour in the United States was the natural home for an individual spoken about in the same sentence as contemporaries such as Northern Ireland’s Rory McIlroy and Japan’s Ryo Ishikawa. But golf is a moody mistress and success is earned, not given. Say what you want about the game’s leading practitioners but none has risen to lofty heights without the support pillars of a healthy work ethic to chip away at their imperfections and a lust for competition. While he has taken some time to come to grips with the harsh realities of professional golf, Lee’s clinically efficient progress this year reflects both a huge appetite to mix it come the closing nine on a Sunday afternoon and an indispensable capacity to learn from his errors. So, the PGA Tour awaits Lee in 2012 after a year of almost constant travel, painful injury, introspection, extensive practice and ultimately vindication. The supremely talented 21-year-old has accomplished his primary mission to become the first New Zealander to hold a ticket allowing him to board the game’s richest gravy train since Tim Wilkinson’s brief period in the big time ended in 2009 after he tore a thumb ligament while mucking about in his backyard. In recognition of his achievements, Golfer Monthly’s sister publication Golfer Pacific named Lee as its 2011 New Zealand Player of the Year. The Rotorua product’s promotion in status came courtesy of a compelling season on the second tier Nationwide Tour where he finished sixth on the money list with tournament income of $US326,100. That left him comfortably inside the top 25 cut line, the demarcation line separating the achievers from the hopefuls. While the monetary rewards cannot be sniffed at, Lee can take greater pride in other figures associated with his blossoming game. As the accompanying fact box shows, he dominated his Nationwide rivals in some of the statistical categories the players themselves take note of. Those are principally Top 10 results, scoring average and birdie average, categories in which he ended a demanding season at the top of the pile. But Lee has never been one to be distracted by figures. “I have not looked at my stats yet; I am just happy with the way I am playing right now,” he said from the family home in Dallas, Texas. While Lee has always had the ability to shoot low numbers his early progress as a pro was stalled by an annoying habit of blotting his copybook with major mishaps, a default option to attack the pin often backfiring in spectacular fashion. He still occasionally stubs his toe with the odd high number but the stumbles are becoming fewer and farther between as he learns when to curb his instincts. All golfers know the importance of damage limitation and Lee has shown the lesson has infiltrated his subconscious. For example, he completed the 72 holes of the season-ending Nationwide Tour Championship at Daniel Island in South Carolina with a solitary double bogey to his name. A hot second round of seven-under-par 65 thrust him into title contention before he misplaced his game on the Saturday and drifted back with a 76. Lee then responded with an even par 72 over the closing 18 holes to finish tied for eighth. It all goes to show how crucial it is for a player to post a respectable number despite being off their A game. The ability to do just that is the bread and butter to a sandwich filled with tastier morsels when everything is in sync. Lee found it difficult to identify any specific areas of his game which had outstripped others. “I couldn’t really say one part of my game has become better. It has come down to the fact I have become better at playing golf. I have learned a little bit about how to play golf,” he said. Lee has improved his world ranking from 498th at the start of the year to 153rd, leaving him a lonely figure as the only New Zealander inside the top 450. By the time you read these scrambled words Lee will have played 31 tournaments last year, his US appearances being supplemented by 13 outings on the European Tour. There would have been more, too, had it not been for a wrist injury which sidelined him for a month mid-year. He had carried the injury for about five weeks and made swing adjustments to compensate but the pain intensified, ironically just days after former touring professional Craig Perks voiced concerns about the younger man’s workload. The four-week break, caused by a tender tendon in his left wrist which became inflamed due to over-use, left the noted workaholic with time on his hands. It also taught him, for his first time in a busy life, that rest and recreation was not a hangable offence. “I did nothing. I just rested, ate some good food and tried to work out a little. I was shocked when I started playing again that I was hitting the ball better,” Lee, who nonetheless will veer on the side of playing too much as distinct to too little, said. He is just coming off a busy period in Asia where he squeezed in three late season European Tour events in Singapore, Malaysia and Hong Kong in November and the first week of December as he scrambled to secure his European playing rights for 2012. His exemption for winning the 2009 Johnnie Walker Classic expires this month, meaning he needed to finish inside the top 115 to retain his card. He headed to Asia close to 45,000 euros short of the number but began his quest strongly by earning 154,844 euros and improving to 82nd after tying for fifth at the Singapore Open. He was determined to maintain his European rights for next season even though his principle focus will be in America. “I am happy with what I have done. At the start of last year I decided to play two tours, which is obviously a hard thing to do,” he said. On a scale of one to 10 Lee marked himself an eight for the progress he had made in 2011. “I have worked really hard over the past couple of years. There have been a lot of improvements in my game and I am confident and happy with the way I have played this season,” he said. “Although I will be playing on the big tour next year it will not change my golf game or my thoughts or anything. He’s been there before, of course, because Lee headed Stateside immediately after he left his adopted home country in 2009 in a bold bid to earn his PGA Tour stripes. He gave it a good shake, too, banking $US359,846 from just 11 starts as he accepted a swag of invites from sponsors keen to see the recent amateur sensation in action. The result left him just 25 places outside the top 125 exemption at the time. Lee and others know he has the game to prosper on the big stage. He now has a full season to prove it.